And thus a description of the state of Chicago education naturally ushers in the world Borzutzky builds in Lake Michigan, in which prisoners—their bodies privatized and owned—are taken to a secret site on Chicago’s shores and tortured and killed, again and again, line after line. It’s a world in which symbols of injustice in Chicago—such as the Banana Republic store where activists protested the death of Laquan McDonald or the radiators that Commander Jon Burge used to torture victims—mingle with the violence of other sites, ranging from the U.S.-Mexico border to Chile to Nazi Germany. The details run together until it’s hard to pick apart the referential from the constructed, a reminder that the horrors we know may not be so different from the horrors dreamt up in the farthest recesses of the poetic imagination. Borzutzky has long been interested in drawing connections between Chicago, his current home, and Chile, where his parents are from. The connections are more than just surface-level, since a group of Chilean economists known as the “Chicago boys” implemented free-market economic policies in Chile in the seventies and eighties based on training they received at the University of Chicago. At a recent event at the Seminary Co-op bookstore in Hyde Park, in conversation with fellow Chicago poet Nate Marshall, Borzutzky discussed being inspired in 2012 as the Chicago teachers’ strike happened concurrently with education strikes in Chile in response to privatization. He explored this territory in The Performance of Becoming Human, which won a 2016 National Book Award. Lake Michigan continues in that vein: this time, Borzutzky found echoes of the 2015 revelations about Homan Square, a site on the West Side where police held arrestees off the books, in the forced “disappearing” of political dissenters in Pinochet’s Chile. “The contexts are completely different, but there has been this privatization of the economy and this complete abandonment of public surfaces in poor communities—that’s been happening at the same time as state and police repression, and those two things go hand in hand,” Borzutzky said. The book, he added, emerged partially from a desire to examine how “extreme” policies have become mainstream. The effect of these repeating, matter-of-fact lines is that the book becomes tedious to read at times. When reading his poems aloud, Borzutzky’s voice sounded almost monotonous. This effect is, in part, strategic: the reader is forced to follow along as acts of violence are broken down into pieces and listed one by one, so that there is no way to speed past them. And when Borzutzky does break out of a repeating pattern and offer a new image, the effect can be stunning. “We live in the blankest of times,” the speaker repeats multiple times throughout the book, and the poems do project a sense of blankness: the speaker is usually an anonymous “I” or “we,” with few identifying features and no sense of emotional response. This anonymity allows Borzutzky to bring together brutalities of various regimes and eras and foist them onto a universalized body. But there is something lost in this approach. Living in the “blankest of times” is so devastating precisely because we, as humans, are not blank. Those brutalized by state violence are not just bodies but souls, with favorite colors and cavities in their teeth and baby pictures, somewhere. To let the reader access the humanity, and particularity, of its speakers would deepen, not detract from, Borzutzky’s stark descriptions of violence. It’s often said that poetry, given its flexibility with content and form, can transmit feelings or insights that prose cannot. It follows that poetry is a suitable medium for emotions and concepts difficult to break down into ordinary sentences and words: love, for example, or death. But the truth is that even poetry might not be adequate to contain the violence that human society has wrought, to accurately transmit stories of Black and brown men systematically tortured into confessing to crimes; young bodies ridden with bullets; camps designed for systemic murder. And, to his credit, Borzutzky runs headlong into that space of discomfort. Lake Michigan is not afraid to doubt its own power. At the beginning of the poem’s second act, Borzutzky cites Pablo Neruda’s “Explico Algunas Cosas”: “y por las calles la sangre de los niños / corría simplemente, como sangre de niños,” translating to “and in the streets, the blood of the children ran simply like blood of children.” In “Lake Michigan, Scene 10,” Borzutzky follows Neruda’s lead with a series of similes that are nothing but repetitions: “The police shooting boys are police shooting boys / And the nazis burning Jews are like nazis burning Jews / And the police protecting nazis are like police protecting nazis.” The suggestion is that to poeticize, to create images, might not be an explication but an evasion: some depravity can only be stated as it is. In addition to offering some of the book’s most beautiful lines, the speaker’s exchange with the boy-soldier suggests that even worse than overestimating language is to say nothing, and that it would be giving in to the powerful for the poet to turn away from Homan Square, from Area 2, from closed schools, from Chile’s detention centers, from the border. It is bleak work; it is not easy to describe the violence of our time; but, Lake Michigan says, we ought to try. 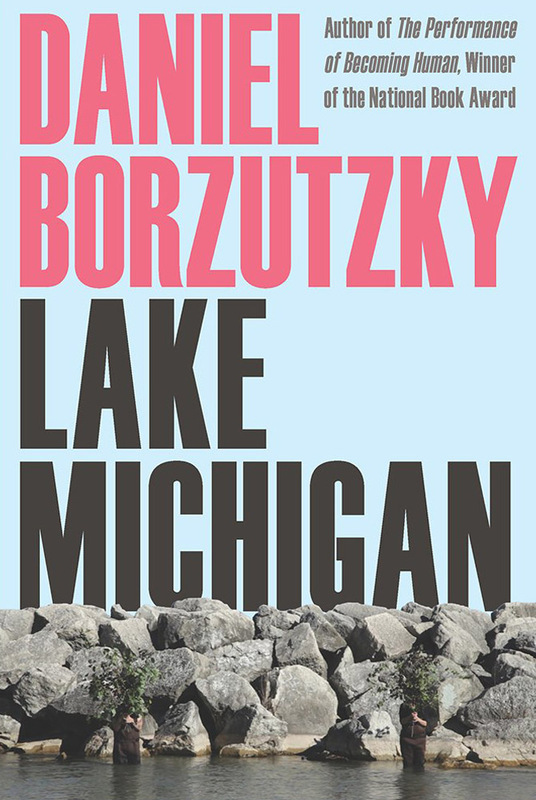 Daniel Borzutzky, Lake Michigan. $15.95. Pitt Poetry Series. 96 pages.